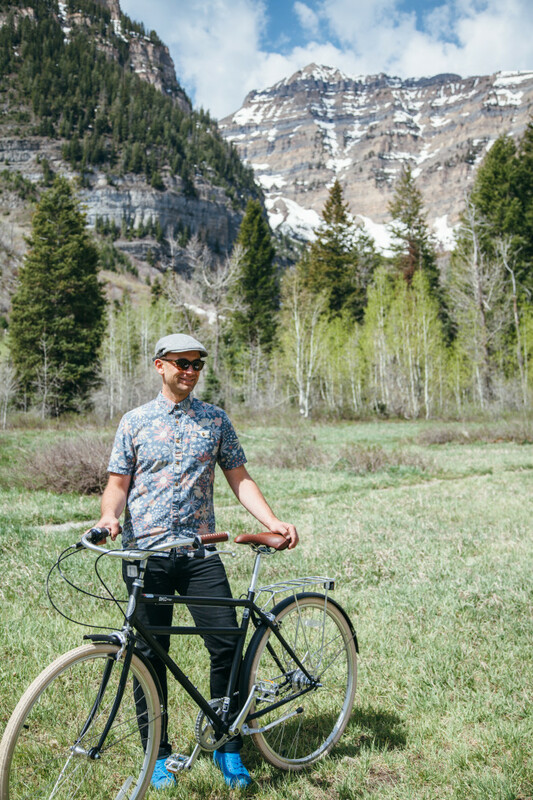 Ever since Paul and I moved to Utah from Denmark two years ago, we’ve been on the hunt for some great and beautiful bicycles. You see, in Denmark we solely got around by bikes—in rain, sun, snow—and now that we have a car, we just haven’t truly needed them for pure transportation purposes, but more for fun around town, just the way I like it. Enter, Brooklyn Bike Company. 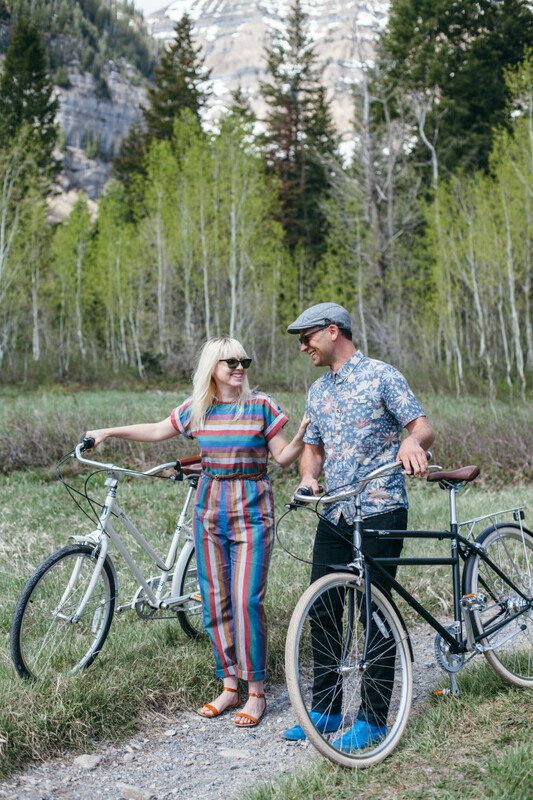 Their Dutch-inspired designs were exactly what we were looking for in a bike and the color options are great too and we were so so thrilled to find them. The arrival of our new bikes also comes at a time when my social planning skills have come into question. Mostly, just by me. I’m TERRIBLE at social planning. In a nut shell, I don’t. I’m not a great date planner or friend planner. Dinner plans? Please ask me! It just doesn’t cross my mind! SO, I thought by “building it, it might come” meaning, if I build a column here on my blog about date ideas, then it will force me to think about it and accomplish it. That’s about how/why I started this blog in the first place. So let’s try it! I can never think of fun and maintainable ideas that a) don’t always cost money b) require too much planning c) exhaust you physically or mentally, which I find important when you keep busy schedules 3) take up too much time (because not all dates need t0, is my philosophy, as long as it’s good quality time). 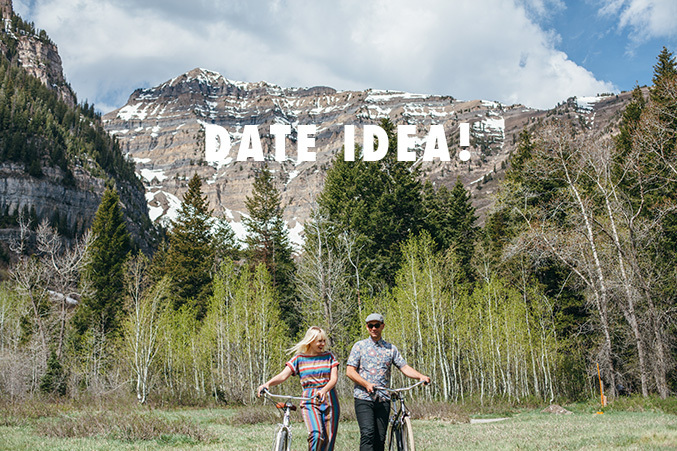 So, date idea #1 is to pick a spot, either in your city or out in about, that you’ve been wanting to explore and pack up your bikes and hit the road. 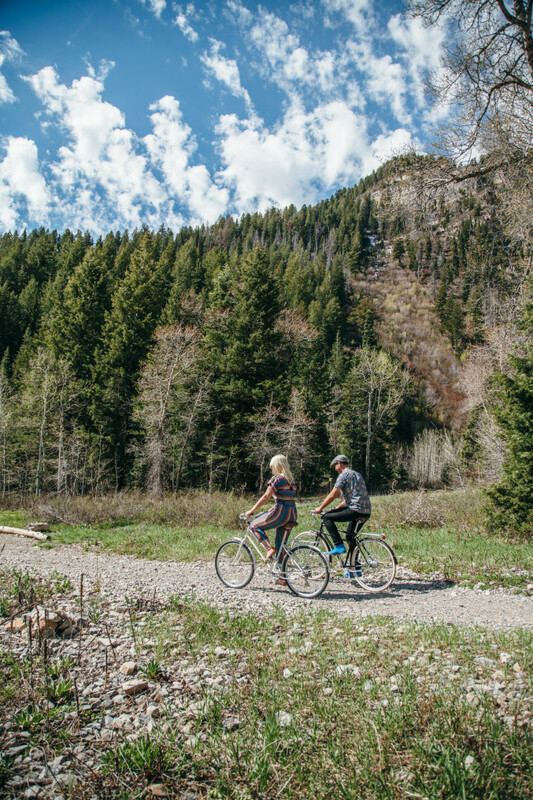 We decided to spend some time in the nearby canyon, through Sundance, which is about a 20 minute drive away. Isn’t it gorgeous?! 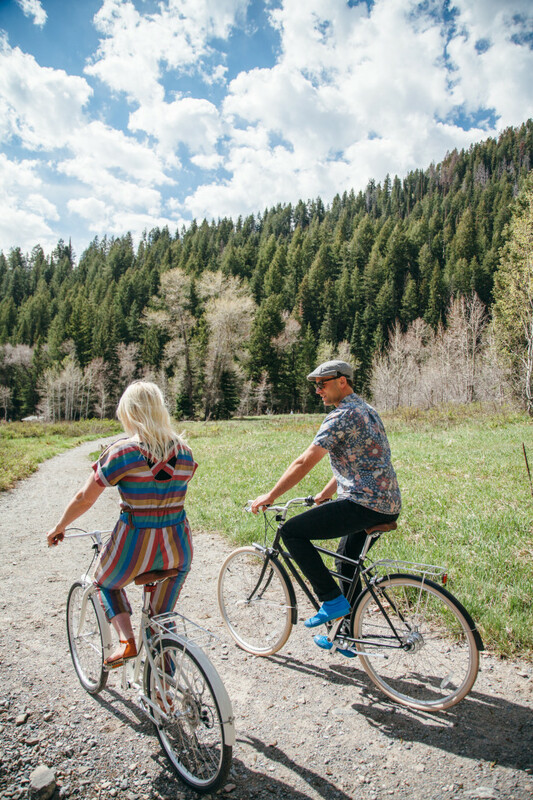 Though it’s mountainous, there are also some easy trails, which make it easy to bike through. Paul got the 7 speed Driggs in matte black, which is super beautiful and I got the 7 speed Franklin in white. We opted for the ones with higher speeds because our area is pretty hilly and I’ve found it necessary. 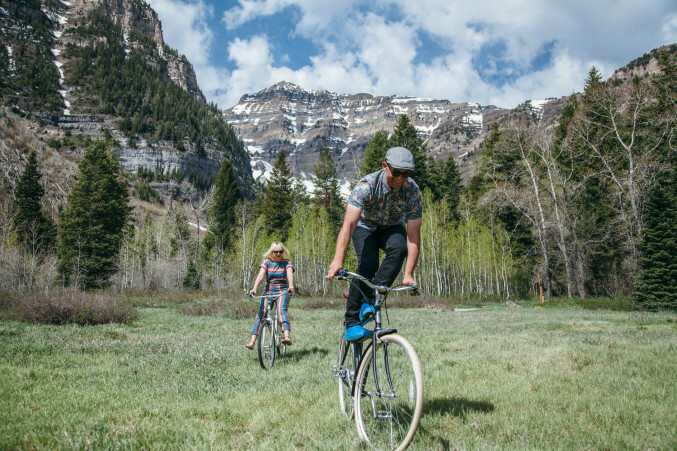 The best part of the purchasing process was that they ship the bikes to a local bike maker who makes them for you. All you have to do is pick them up, test ride them, make adjustments if necessary, and ride them home. 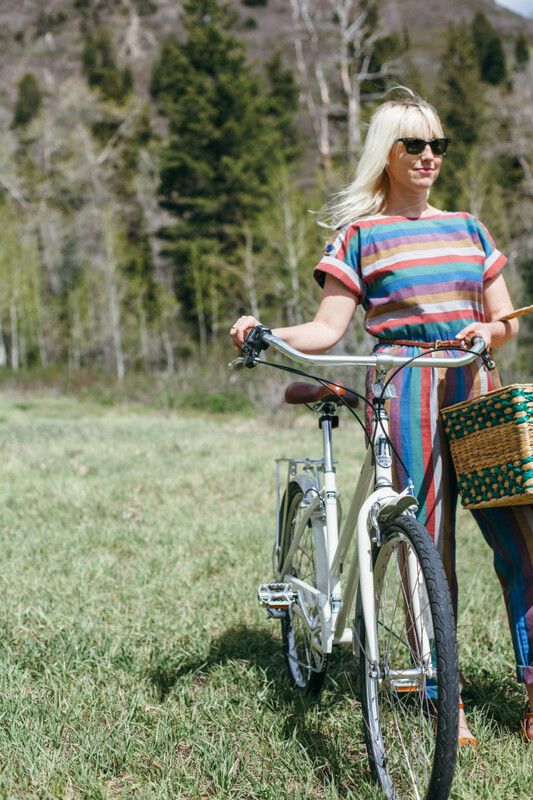 I was worried about having to make a bike, but they took away that fear. Such a great process. What are your ideas for dates? Doesn’t have to be at night…I’d love to hear them! Help me! Bicycles sponsored by Brooklyn Bicycle Co.